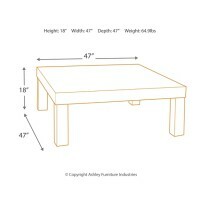 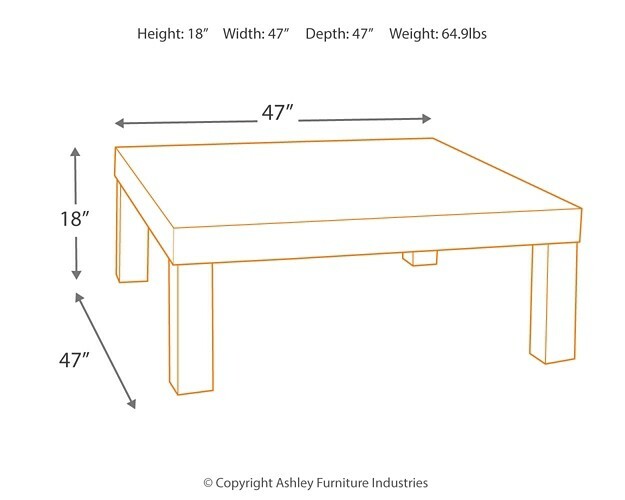 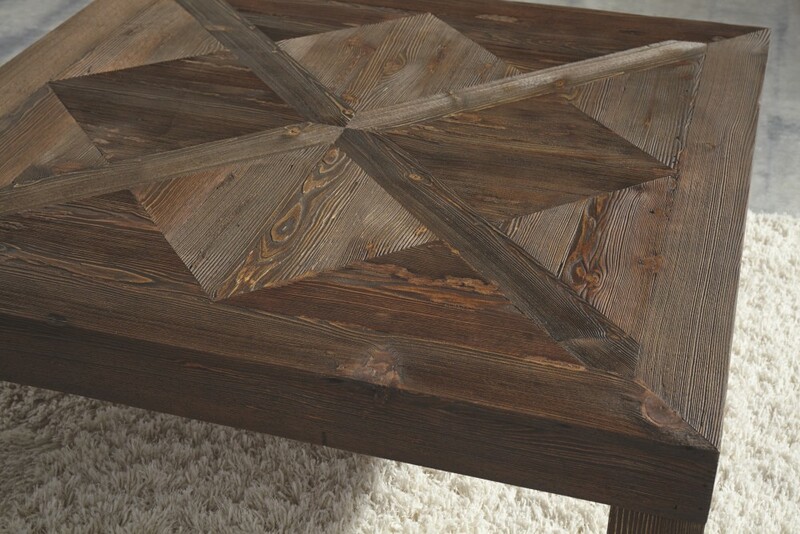 Crafted of reclaimed pine wood, this coffee table sits squarely at the intersection of modern and rustic. 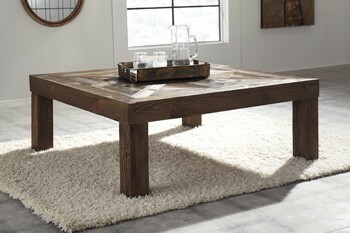 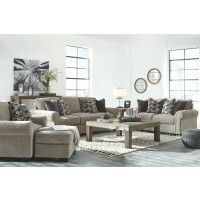 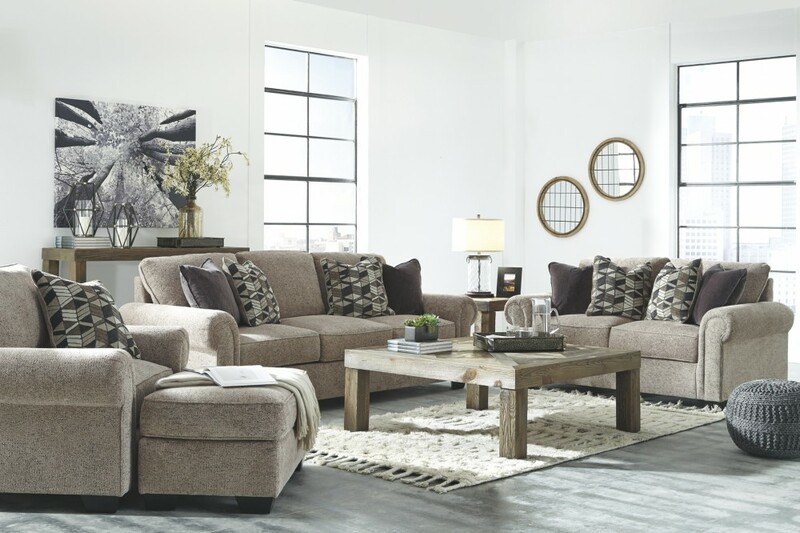 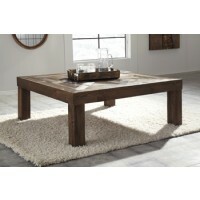 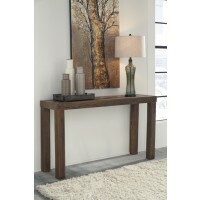 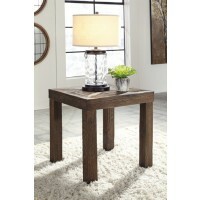 Richly distressed, the table’s dry finish with hints of gray lets the knotty beauty of pine wood speak for itself. 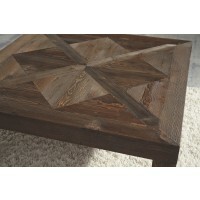 Exquisite parquet styling on the tabletop truly sets this quality-built coffee table apart.